Ideal for small racing Quadcopters. 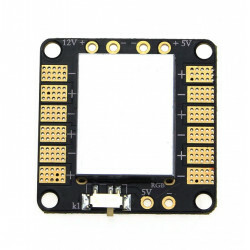 Supports Oneshot125 for active breaking support to improve flight performance, active breaking (dampened light) (20A), with quicker throttle response times. 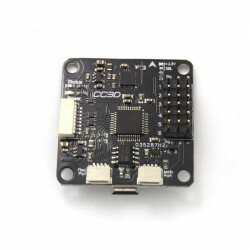 Smaller and lighter than most multirotor ESCs weighing only 7g. 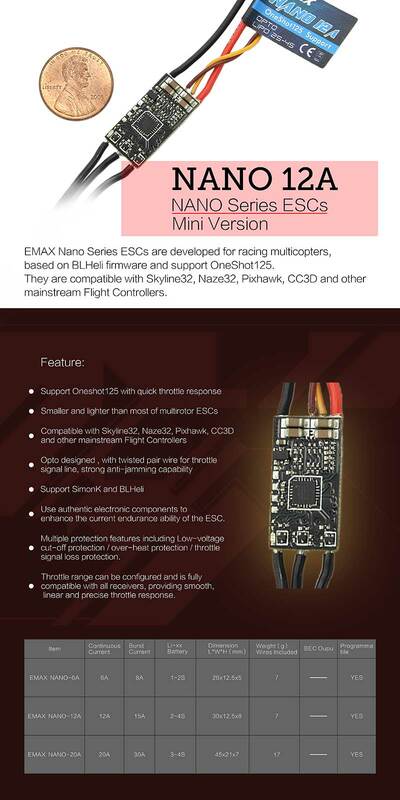 Compatible with most popular flight controllers such as Skyline32, Naze32, Pixhawk, CC3D and many more. Opto designed so deoes not have a built in BEC, with twisted pair wire for throttle signal line, strong anti-jamming capability. 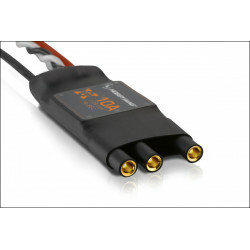 Specially designed for multirotors, but also compatible with fixed-wing aircrafts and helicopters.